I am a big fan of reading other peoples adventures. One of the best things of traveling on a bicycle is that I have tons of time, which I can put into the things I like the most. One of them is reading. 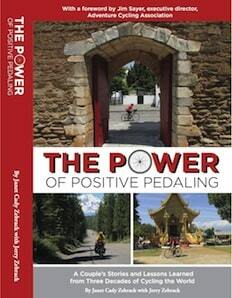 So if you’re looking for some motivation to push you into a cycling trip on your own, with friends or with your partner, I recommend you to read a couple of these fantastic books. It’s the next best thing to actually traveling on a bicycle! Just make sure to get off that couch and hit the road. 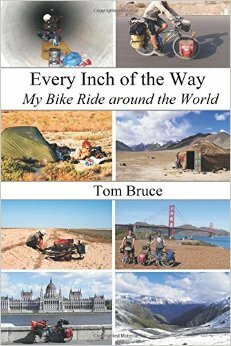 Experience the real thing because no matter how good these books are, they can never replicate the incredible experiences you have when traveling by bicycle. 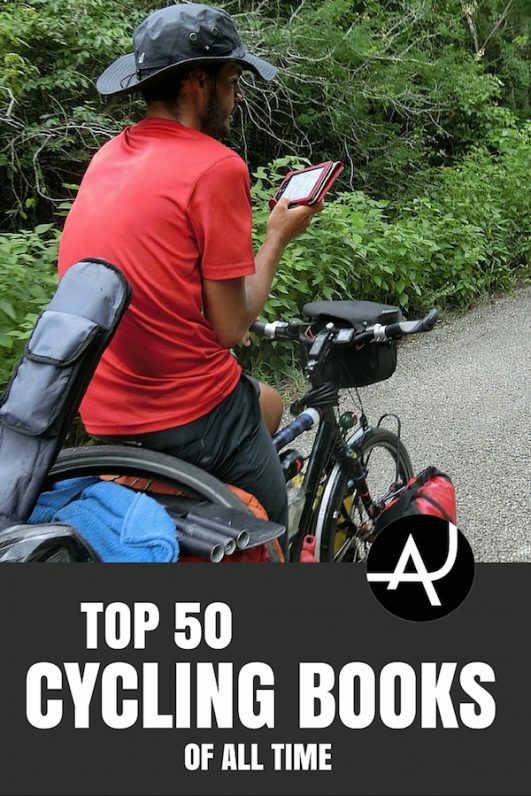 So, this is my personal list of the Best Bicycle Touring Books of All Time. Alastair Humphreys’ around-the-world journey of 46,000 miles was an old-fashioned adventure: long, lonely, low-budget, and spontaneous. 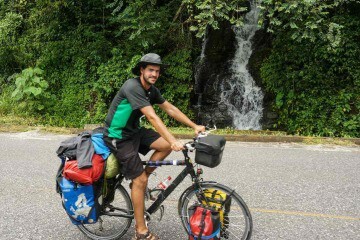 Cycling across five continents and sailing over the oceans, his ride took four years to complete, on a tiny budget of hoarded student loans. Here is the story of the first remarkable stage of the expedition. Just two weeks into the ride the September 11th attacks changed everything. 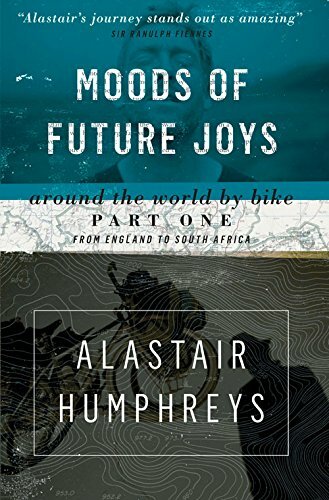 All Humphreys’ plans went out the window and, instead of riding towards Australia, he suddenly found himself pedaling through the Middle East and Africa and on toward Cape Town. 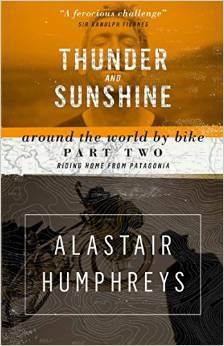 Alastair Humphreys cycled around the world—a journey of 46,000 miles. 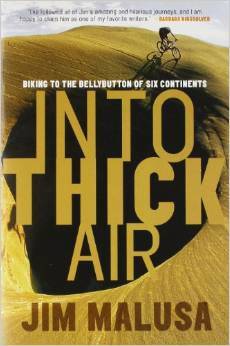 This inspiring story traces the second leg of his travels—the length of South and North America, the breadth of Asia and back across Europe, crossing the mountains and salt-flats of South America, canoeing the Five-Finger Rapids of the Yukon River, and braving a Siberian Winter with only the flimsiest tent to protect him from the elements. 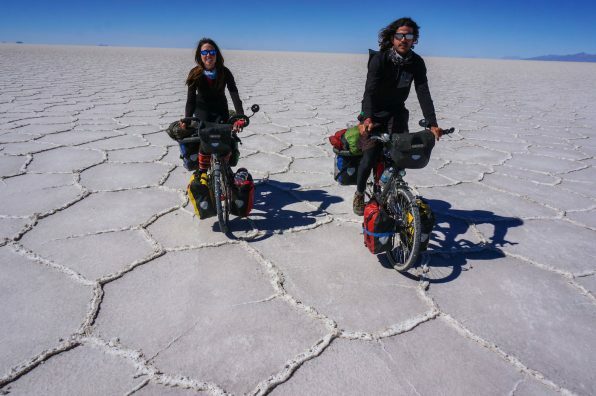 The incredible story of a 3,000 mile bicycle trek across the world’s largest stretch of sand–the Kalahari and Namib Deserts of Southern Africa. 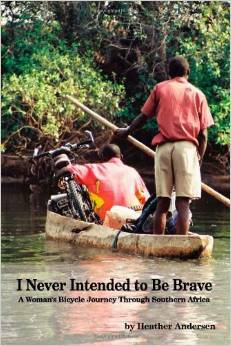 The author relates his fantastic experiences–stalked by lions, charged by a herd of elephants, and his encounters with poisonous snakes, to name a few. 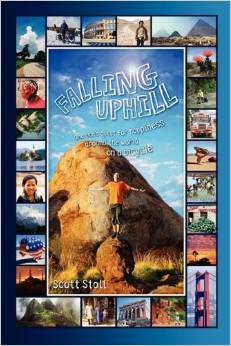 He also tells of his numerous observations and experiences in living and teaching in Botswana for three years. 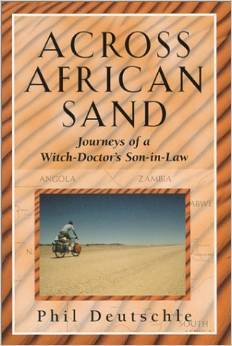 These include his marriage to the daughter of a local witch-doctor. 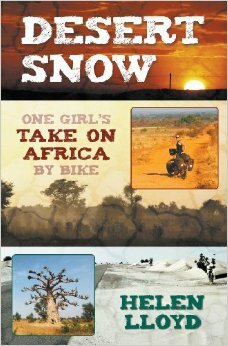 Desert Snow is the story of one girl, one bike and 1,000 beers in Africa. 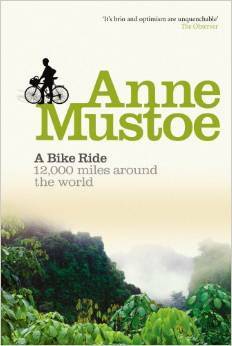 By daring to follow a dream and not letting fear prevail, Helen cycled across the Sahara, Sahel and tropics of West Africa, paddled down the Niger River in a pirogue, hitch-hiked to Timbuktu and spent three months traversing the Congo, which she thought she may never leave… A lot can change in 2 years, cycling 25,000km from England to Cape Town. So can nothing. Helen takes you with her on the journey through every high and low of her memories and misadventures. In March 2011 I set off on the adventure of a lifetime, from my front door, across Europe, Asia and finally the USA. I spent nights in people’s houses all over the world, slept in Yurts, camped with nomads, ate delicious food ranging from Tibetan stew to alligator meat, drunk home-made Georgian wine, was given clothes, partied with Kazakhs on the Caspian Sea ferry, saw photos of USSR soldiers in front of statues of Lenin, saw Stalin’s house the Grand Canyon and the Great Wall. 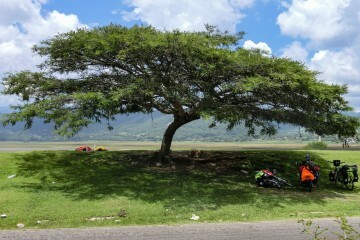 I cycled through sweltering deserts and over huge mountains. I overcame mechanical problems with the help of an Azerbaijani mechanic and illness due to the kindness of a Tajik Pamiri doctor. 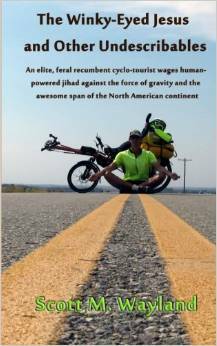 A 4 year and 25,742 mile odyssey around the world by bicycle, seeking answers to the great mysteries of life, vowing to find happiness or die trying. The quest wasn’t easy. He was imprisoned, held hostage, mugged, run over, suspected of terrorism, accused of espionage, trampled, diseased, heartbroken — he nearly died a dozen times. But more importantly, he also discovered the wonders of the world, kindness among strangers, the meaning of life, peace, love and — Yes! — happiness, in the most unlikely places. Using historical routes as her inspiration, Anne followed the ancient Roman roads to Lisbon, travelled across South America with the Conquistadors, pursued Captain Cook over the Pacific to Australia and Indonesia and followed the caravans along the fabled Silk Road from Xi’an to Rome. Based on the author’s seven year and 40,000 kilometer bicycle journey around the world, Odysseus’ Last Stand documents the richness of the planet’s sights, sounds, and teeming life as experienced from the saddle of a bicycle. During his journey, the author experiences firsthand the effect of international politics on media-invisible cultures while mingling with an endless array of unusual and wonderful characters. As he immerses himself in the culture of every country he visits, learning the languages and customs as he travels, he witnesses the clash of values between developed and developing worlds and the inherent tensions between tradition and progress. 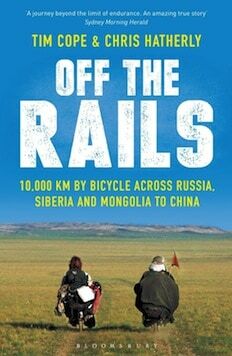 This is the true story of two twenty-year old Australians who travelled for fourteen months on recumbent bicycles from Russia, across Siberia and Mongolia, to Beijing. It is as much a story of perseverance, passion, and belief as it is about the people and remarkable landscapes of Siberia and Mongolia. Tim and Chris are not just fearless adventurers but philosophers on wheels, willing and able to open themselves up to everything from the voice of the Steppes to the Russian villagers and the nomads of the Gobi desert. 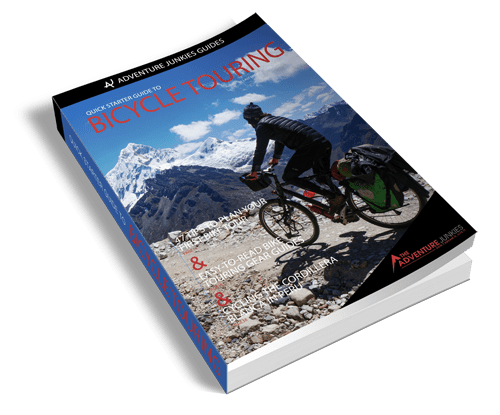 Stories and reflections from a married couple’s three decades of traveling the world by bicycle — including photographs and tips for long-distance bicycle touring. 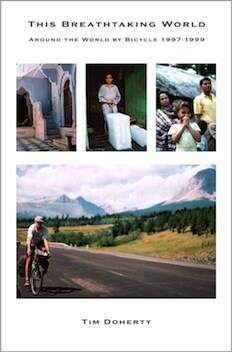 “This Breathtaking World” is a vivid and very personal account of life on the road. 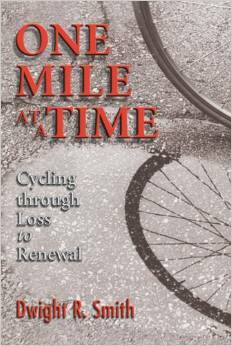 The title has a double-meaning, as the author is a chronic asthma sufferer. Tim encountered many problems, but the varied cultures and fantastic scenery along the way were his daily rewards. What remains with him most, however, is his impression of the people in each of the countries he cycled across; their remarkable generosity and hospitality. Tim completed his tour successfully, finishing up in his home town of Sheffield, England, more than two years after he’d cycled off from there, having pedalled a total of 21,688 miles. Starting in the city of Chandigahr, round the world cyclist Tom Bruce and his friend Harry cycled along the famous Manali to Leh Highway and then over the highest motorable pass in the world. On the way they experienced stunning landscapes, fascinating wildlife, the kindness of strangers, wonderful campsites, illness, landslides and Buddhist monasteries. 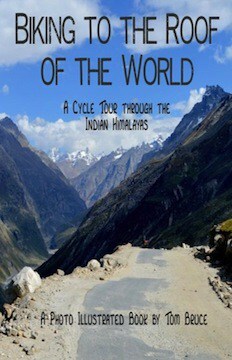 Reading this book is a great adventure in itself and is a great resource for people planning a bicycle tour in the Himalayas. 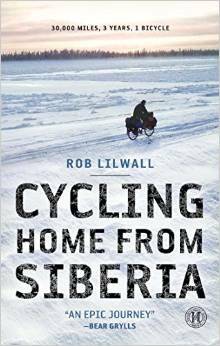 Having left his job as a high-school geography teacher, Rob Lilwall arrived in Siberia equipped only with a bike and a healthy dose of fear. 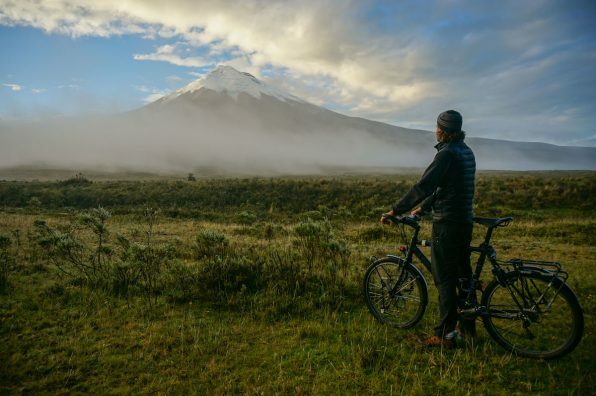 Cycling Home from Siberia recounts his epic three-and-a-half-year, 30,000-mile journey back to England via the foreboding jungles of Papua New Guinea, an Australian cyclone, and Afghanistan’s war-torn Hindu Kush. 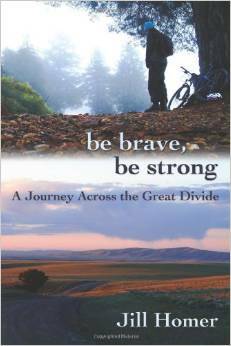 A gripping story of endurance and adventure, this is also a spiritual journey, providing poignant insight into life on the road in some of the world’s toughest corners. 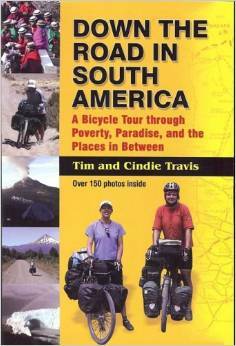 Tim and Cindie’s around the world bicycle touring adventures continues in this second book about exploring South America. This part of the journey was even more challenging with the highest mountains, coldest nights, and the most dangerous situations yet. 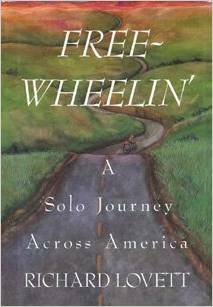 “Freedom is addictive” Bicycle touring, for the Travises, is the purest realization of a free life. Tim and Cindie travel farther outside their comfort zone than ever before. 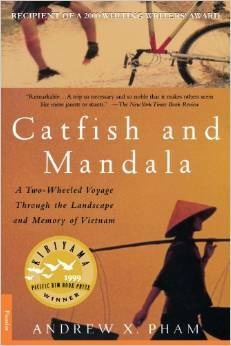 They encountered oppressive communism, thieves; and a fist fight with a drunken man in rural Vietnam. Exposure to War and Genocide were reminders of how precious life can be. Despite all this the Travises once again were humbled by the warmth and friendliness of humanity. Brian and Rachel soon embark on a ride from northern Wisconsin to Somewhere West, infatuated with the promise of adventure and each other. But as the pair progress from the Northwoods into the bleak western plains, they begin to discover the messy realities of life on the road. Mile by mile, they contend with merciless winds and brutal heat, broken bikes and bodies, each other and themselves—and the looming question of what comes next. 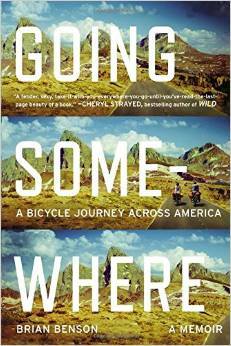 Told in a voice “as hilarious as it is wise” (Cheryl Strayed), Going Somewhere is a candid tale of the struggle to move forward. Not yet ready to return to the States after her service as a U.S. Peace Corps volunteer, Heather Andersen sets her dream of exploring southern Africa by bicycle in motion. Her group dwindles to just two before the trip even starts and she finds herself traveling with a man she’s never met before. Tension between them builds until the inevitable split, and Heather continues on alone through unfamiliar lands. 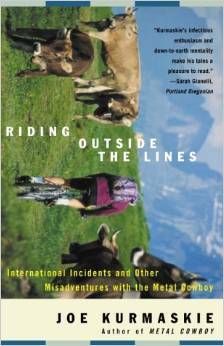 With great appreciation and understanding, she vividly describes her surroundings, the colorful people she encounters, and the adventure of traveling in foreign cultures as a solo woman on a bicycle. With the question of whether it’s safe never far from her mind, she forges her own path through southern Africa—and life. With plenty of sunscreen and a cold beer swaddled in his sleeping bag, writer and botanist Jim Malusa bicycled alone to the lowest point on each of six continents, a six-year series of “anti-expeditions” to the “anti-summits.” His journeys took him to Lake Eyre in the arid heart of Australia, along Moses’ route to the Dead Sea, and from Moscow to the Caspian Sea. 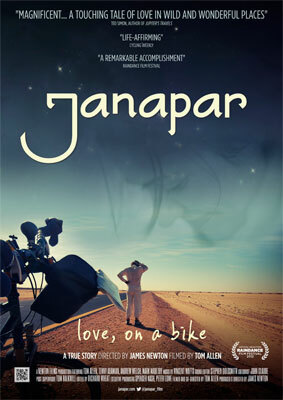 He pedaled across the Andes to Patagonia, around tiny Djibouti in the Horn of Africa, and from Tucson to Death Valley. With a scientist’s eye, he vividly observes local landscapes and creatures. As a lone man, he is overfed by grandmothers, courted by ladies of the night in Volgograd, invited into a mosque by Africa’s most feared tribe, chased by sandstorms and hurricanes — yet Malusa keeps riding. The story begins on the Oregon coast, with Weber wondering what he’s gotten himself into, and ends in triumph on New York City’s George Washington Bridge. 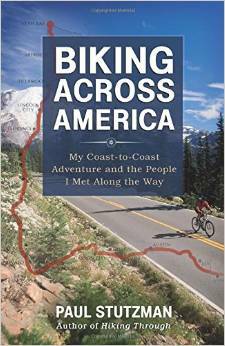 From Going-to-the-Sun Road in the northern Rockies to the headwaters of the Mississippi and through the cityscapes of Chicago and Pittsburgh, his encounters with people and places provide us with an intimate, two-wheeled perspective of America. And with thousands of miles to travel, Weber considers— when he’s not dealing with tractor-trailers, lightning storms, dehydration, headwinds, and loneliness—his past, his family, and the echo that a well-lived life leaves behind. 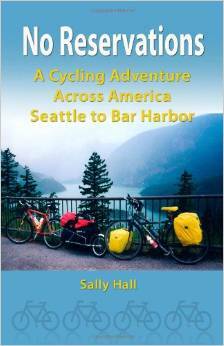 This is the delightful and often humorous story of an around-the-world bicycle trip taken by two young people, Barbara and Larry Savage. It took them two years and 25 countries. Along the way, these neophyte cyclists encountered warm-hearted strangers, bicycle-hating drivers, rock-throwing Egyptians, over-protective Thai policemen, and great personal joys. They returned to a new life in Santa Barbara, one Barbara never lived to savor. 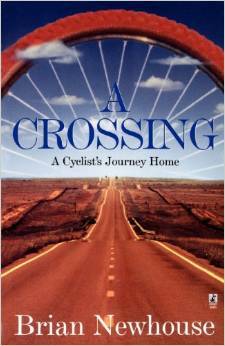 She was killed in a street accident, Barbara and her bicycle vs. a truck. We are lucky to have this memoir, throughout which her vitality, warmth and compassion glow. James Brooman grew up near London, England. 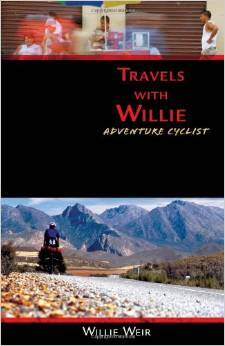 He was a guy who rarely cycled or had an adventure, a guy who was scared of the fairground rides as a child. But one day he changed; he became a guy with a quest. Armed with a bicycle, a toy bear and some optimism he flew to the north of Alaska and for the next two years rode it to the southern tip of South America. This is his tale. In May 2002, putting doubters-and self-doubt-behind him, Petterson headed west. Laboring against strong headwinds, struggling up steep hills, or coping with extreme weather, he sometimes wondered what in the world he was doing. But he kept going-the lure of riding his bike across the Golden Gate a compelling incentive. 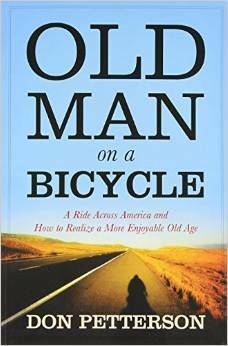 Ahead of him lay many challenges-among them, riding his loaded bike over the Rocky Mountains and Sierra Nevada, crossing the Great Plains in brutal summer heat, dealing with the aftermath of a collision with a car, and traversing Nevada’s basin and range country and the Great Salt Lake’s desert. 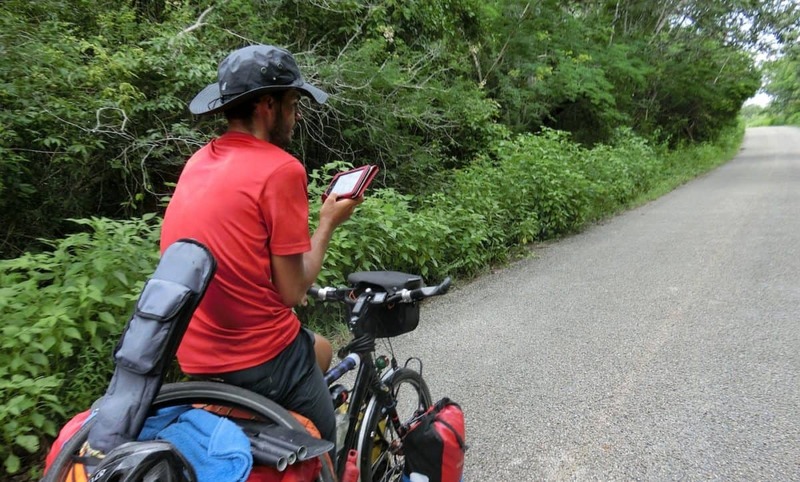 This story of one man’s healing solo bicycle journey, 13,784 miles around the perimeter of the U.S., is both amazing and inspiring. 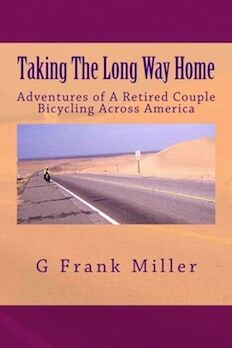 March 31, 2001, Frank and Helen Miller left San Diego on bicycles. Three thousand one hundred miles and seventy-seven days later they arrived home in Melbourne Beach, Florida. The book, Taking the Long Way Home, is the story of this long journey. On their way home, the Millers crossed deserts, climbed mountains, and rode through large cities. They had to deal with aggressive dogs and aggressive police officers while meeting cowboys, an Emmy winner, a desert rat, EMTs, preachers, and a lot of friendly, interesting people. The America they experienced, traveling at 15 miles per hour while stopping in every small town in their path, was much different than the America seen from a car traveling 70 miles per hour on an interstate highway. 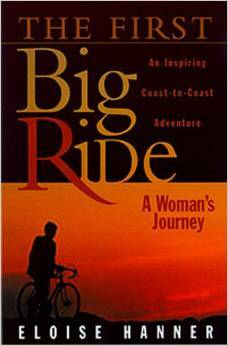 The First Big Ride””: A Woman’s Journey, by Eloise Hanner, is the story of the first Big Ride across America from Seattle to Washington, D.C., in the summer of 1998. This is not the story of an athletic event so much as it is an inspiration for everyone who sits at a desk and wonders if the time for adventure has passed them by. This is the inspiring story of one young man’s record-breaking solo cycle journey around the world. On 15 February 2008, Mark Beaumont pedalled through the Arc de Triomphe in Paris. 194 days and 17 hours previously, he had begun his attempt to circumnavigate the world in record time. Mark smashed the Guinness World Record by an astonishing 81 days. 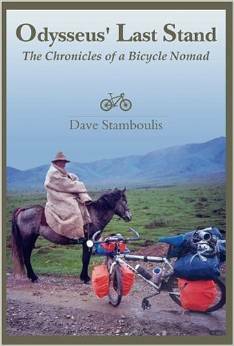 He had travelled more than 18,000 miles on his own through some of the harshest conditions one man and his bicycle can endure, camping wild at night and suffering from constant ailments. 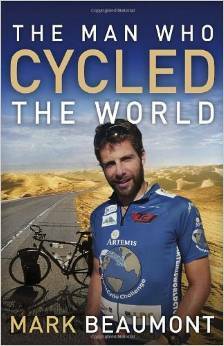 The Man Who Cycled the World is the story not just of that amazing achievement, but of the events that turned Mark Beaumont into the man he is today. 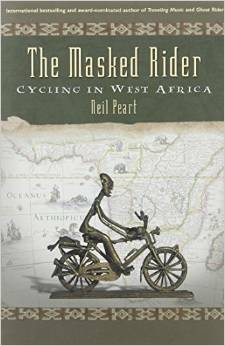 Neil Peart cycles his way through West Africa and brings us along with him, dysentery and all. The Masked Rider details his physical and spiritual journey, through photographs, journal entries, and tales of adventure. Peart’s “masks” are the masks that we wear–culture, psychology, labels, expectations–and his book reveals how traveling in a very foreign land allows us to peer behind them. Fully versed in the arcane secrets of elite Ninja recumbent bicycle touring, at the advanced age of forty five, Scott Wayland set out to meet his country face to face, rubber to the road, with nothing but his lactic acid-addled wits and a burning desire to know what the country had to say for itself. Strange creatures, cantankerous weather, odd characters, and a huge, big, bad, beautiful land give him the experience of a lifetime. The Winky-Eyed Jesus and Other Undescribables is an intimate journey into the heart of America, its people and landscape, and one man’s struggle to take it all in. At age 52, the couple finally found in each other that special someone they’d been searching for years to marry. They moved from marriage proposal and wedding, to Tim’s “retirement” and relocation, to embarking on their cycling adventure in only ten weeks. There was no more need to hold back once God gave the green light. Two Are Better shares the joy and excitement of the Bishops’ escape into togetherness. 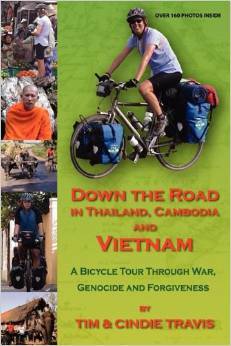 Erika Warmbrunn’s amazing 8,000 kilometer cycling journey through Asia. 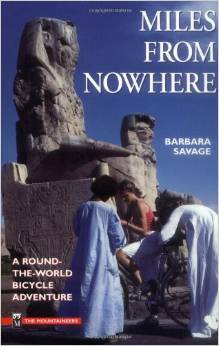 Winner of the Barbara Savage Miles From Nowhere Memorial Award. 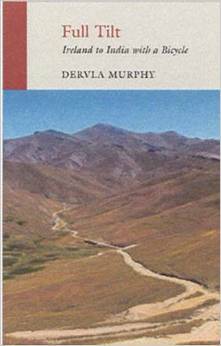 Originally published in 1965, it is the diary of her bicycle trek from Dunkirk, across Europe, through Iran and Afghanistan, over the Himalayas to Pakistan and India. 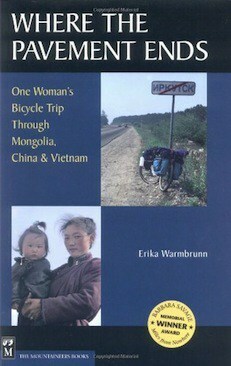 Murphy’s immediate rapport with the people she alights among is vibrant and appealing and makes her travelogue unique. 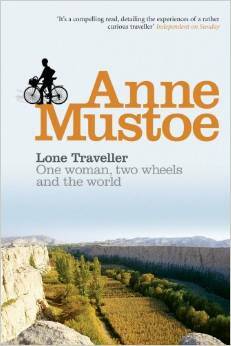 Venturing aloneaccompanied only by her bicycle, which she dubs Rozthe indomitable Murphy not only survives daunting physical rigors but gleans considerable enjoyment in getting to know peoples who were then even more remote than they are now. 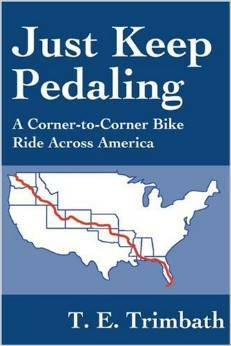 In June 2008 Ben Cunningham and five friends set out to cycle the Pan-American Highway from the northernmost point of Alaska to the most southerly city in the world. Along the way the kindness of strangers, run-ins with the law, and sometimes gangsters, were encountered. The task was as simple as it is brutal. 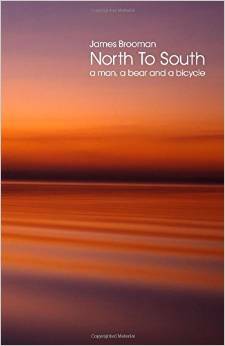 This is an inspirational tale of adventure and endurance; of what can happen when you get on your bike; and of getting to where you want to be. Watch enough cable news and your view of the world will be clouded by fear. Hop on a bike and that view will brighten drastically. Travels with Willie is about finding adventure and facing fear, embarrassing blunders and language barriers, ice cream and kindness, Cuba and Colombia, Turkey and Thailand, the world’s steepest street and the world’s cheapest engagement ring, catching a thief and losing a zebra, a father’s touch and a farmer’s embrace, buying time and spending another night. 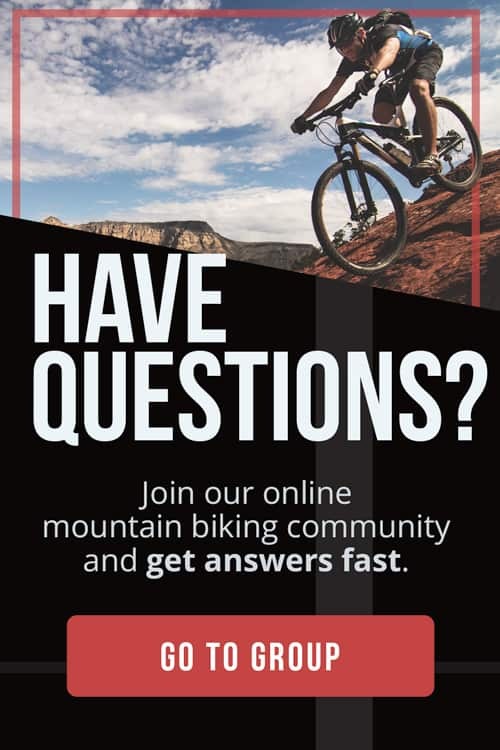 Fellow bicycle travelers will smile with recognition, and arm-chair travelers might find themselves wandering into a bike shop, looking for a passport to adventure. In this charming caricature of Alastair Humphreys’ infamous circumnavigation of the world on his bike, children are swept along with the character of Tom, an adventurous boy who feels there must be more to life than school. 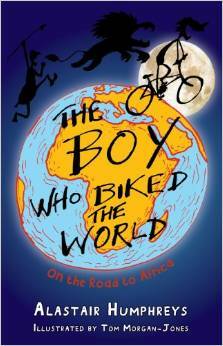 The first part of The Boy Who Biked the World follows Tom leaving England, cycling through Europe and all the way through Africa to the tip of South Africa. Along the way, young readers are introduced not only to the various fascinating landscapes he passes through, but also to the various people who so happily embrace him as he traveled on his journey. Like a modern-day Don Quixote, Joe Kurmaskie—bike adventurer, writer, and twelve-year-old boy trapped in a man’s body—wanders the world on two wheels, often with hilarious results, in Riding Outside the Lines. 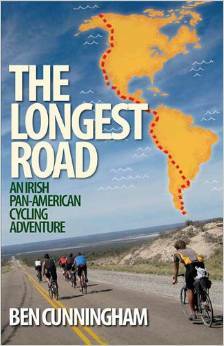 A jaunt through such far-flung locations as Ireland, Australia, Mexico, South America, and beyond, here is a collection of tales woven together with one central theme: the world is a much smaller place when you view it from the seat of a bicycle. 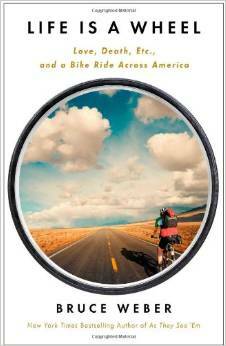 A travelogue in the tradition of Blue Highways and On the Road, this book tells the extraordinary story of one man’s solo bicycle adventure across America–and the spiritual and personal awakening he experienced on his journey. 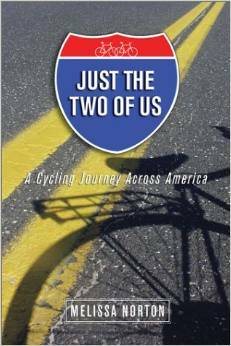 Riding a bicycle 4,622 miles across the United States in 63 days is not that unusual, and it has been written about in such books as Stan Purdum’s Roll Around Heaven All Day and Barbara Siegert’s Bicycle Across America. What is unique about this trip is that it was accomplished by a wife and husband in their fifties. 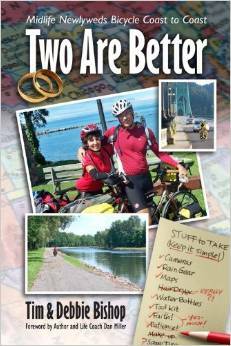 Using a journal format, Norton writes about the couple’s trip from Astoria, OR, to Bar Harbor, ME, covering the grueling mountain climbs, whom they encountered, what they saw, where they stayed and what they ate, the personal relations between husband and wife, and some useful tips on bicycle touring. Their story offers a window into America from 1999 to 2003 as they experienced it on that journey. Pedaling through the mists of the Pacific Northwest, across snowy mountains, along great rivers, over golden plains, around Great Lakes, and through the remains of turbulent history to the rocky shores of Maine on the Atlantic, they were transformed by the beauty of America and the generosity of her people. In middle age, without reservations and carrying their own gear, they embraced adventure and, along the way, became healthy and strong. In an inspirational adventure for all who dream of exiting the fast lane, Lovett recounts his 5,400-mile bicycle journey across the northern half of the US, in an effort to discover the real America–and himself. 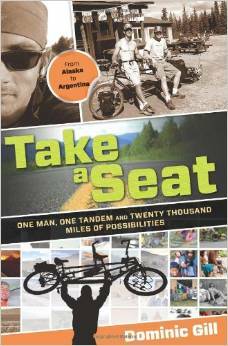 In Take a Seat, Dominic tells the story of his incredible journey. Over twenty-six months, he covered 18,449 miles down the west coast of the Americas, passed through fifteen countries, was looked after by countless strangers, crashed into a Mexican banana truck, was nearly attacked by a mob of Bolivian political demonstrators, cycled past active volcanoes, and didn’t have a single haircut. All sorts of colorful characters took a seat on Achilles—from a meditating, pot-smoking French Canadian named Pierre to Adrienne, a lovely Appalachian girl who rode with him into Panama, and the dark-haired Joselyn from Chile. Eventually, Dominic reached Ushuaia, freezing and exhausted and with another new friend behind him—the 270th person to take that seat. He had achieved his dream. 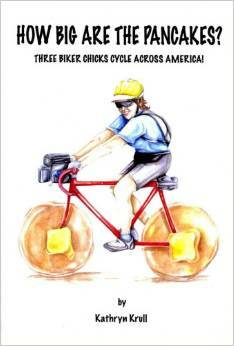 Accompany three forty-something biker chicks as they cycle across America. 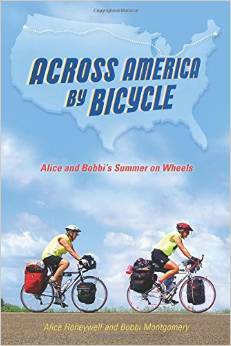 For fifty-nine days, Kathy, Cindy and Mary Anne pedal 3,150 miles through ten states, from California to Virginia. Their journey takes them through lush green valleys, up steep mountains, by farms, and past desolate rangeland. On the road they battle inclement weather, intense heat, fierce headwinds, nasty dogs, aching bodies, and flat tires. Their inner strength, their determination, and the kindness of strangers sustains them along the way. Seeing America at ten miles an hour without the protective shell of a car allows all of the senses to get to know the country. It was an interesting ride with insights into culture and sore muscles. And then there was the awesome chocolate sundae in a ranch town in Utah This personal narrative also has an appendix that acts as a guide for others that might want to try their own adventure. There are details on gear, route selection, and expenses and most of all encouragement. 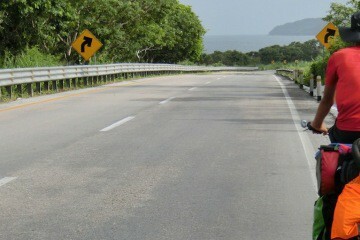 You don’t know what you’ll find out there on the road until you get there. For a four-thousand-mile bicycle ride across America, Joe’s seven-year-old son Quinn rides a tagalong bike attached to his dad’s, and behind that is five-year-old Enzo in a bike trailer. Our hero the Metal Cowboy answers the question “What are you, crazy?” with a resounding “Yes.” With no support crew except his boys’ comic relief and the kindness of strangers, he pedals hundreds of pounds of gear and offspring over mountain passes, through thunderstorms, and into the heart of what it means to be a dad. 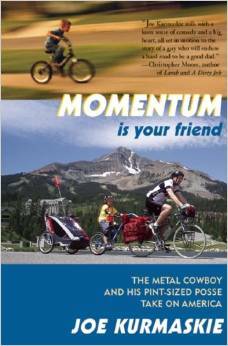 This time the Metal Cowboy sets off to bicycle across Canada, with wife and three sons (one just a year old) along for the adventure. If Momentum Is Your Friend was about fathers, sons, and hometown heroes, Mud, Sweat, and Gears is about mothers, wives, family, and the glue that holds the world together.